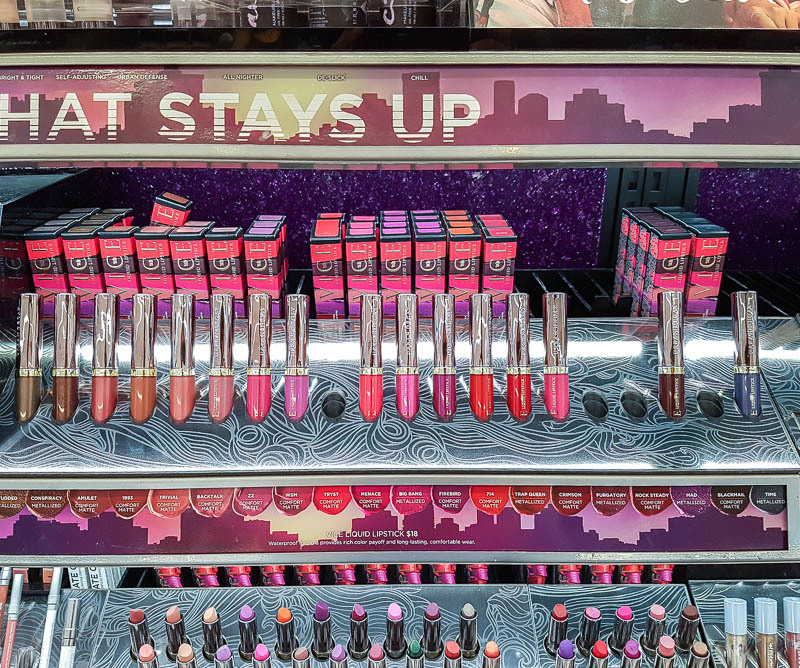 Urban Decay always comes up with awesome colors, and the options are just as varied whether it's neutrals or bold that you are looking for. 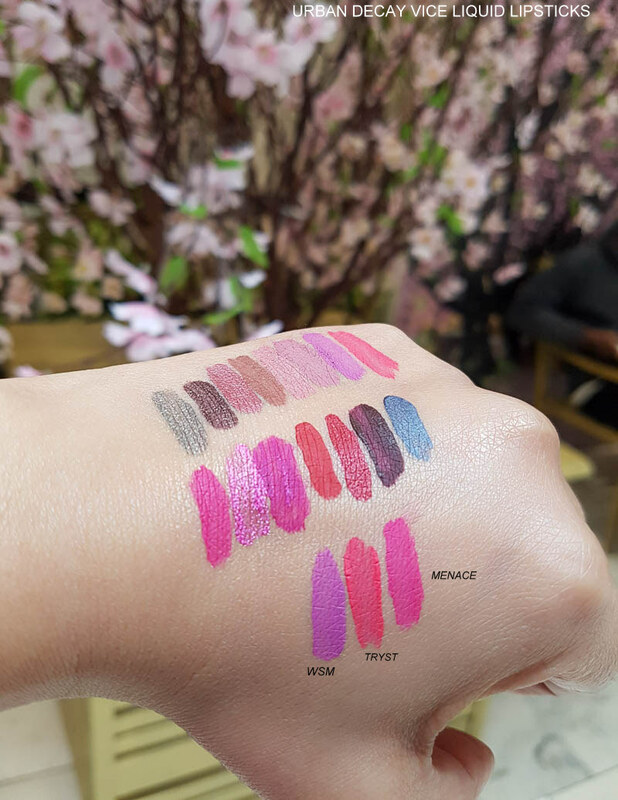 The Vice liquid lipstick range is no exception, There are a mix of shades - soft pinks and browns and mauvey neutrals that I would reach for all year round - and brighter pops of reds and fuchsias that are the perfect for a bright pop of summer color. Between the two finishes, I prefer the matte finish - but that's just my personal preference since I amn't a huge fan of shimmery finishes - but there are some interesting options among the metallized liquid lipsticks too. 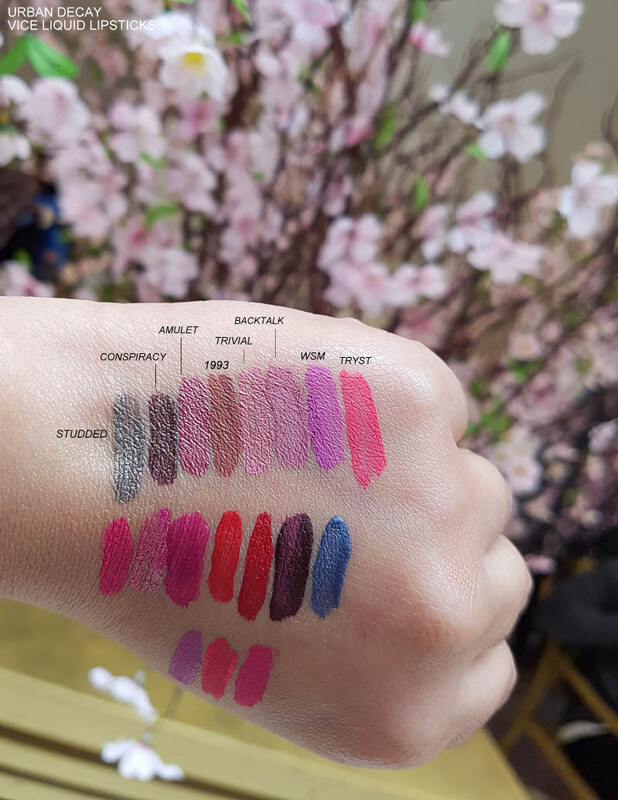 The Urban Decay Vice liquid lipsticks are quite pigmented - true to the typical liquid lipstick formula - but they do seem lighter/thinner in consistency and seem like they dry down to a less cakey version than some of the liquid lipsticks I have swatched. 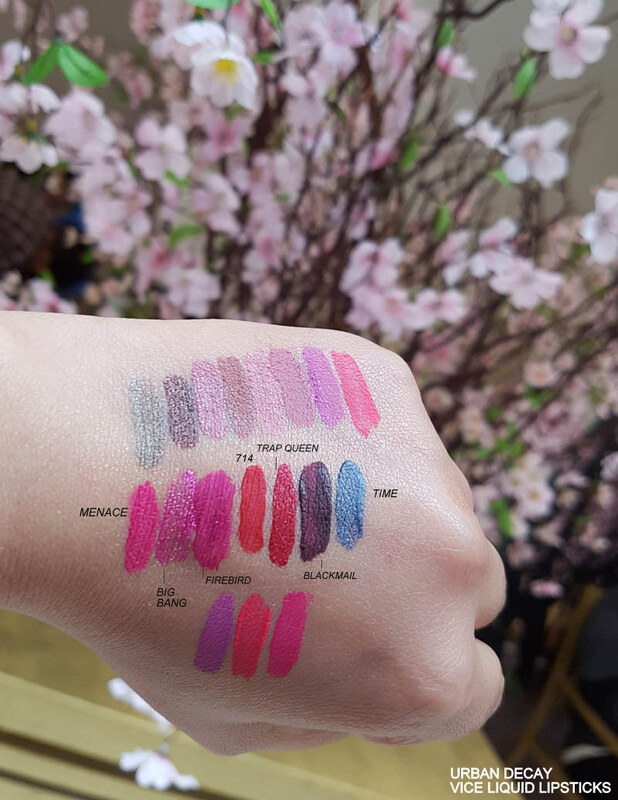 If are fan of liquid lipsticks and/or a bright matte lip, do give the Urban Decay Vice Liquid Lipsticks a try.